According to court documents unsealed in the United States on Monday, the London based academic Professor Mifsud was the main point of contact between the Russian government and George Papadopolous, a national security policy adviser on Mr. Trump’s campaign who pleaded guilty last month to lying to FBI agents about his dealings with Russian intermediaries during the presidential election. The Russian go-between, Professor Mifsud, believed by some to be an agent of the Russian Intelligence service, has explosively claimed a meeting with Britain's Foreign Secretary less than a month ago. In mid October this year, Mifsud attended a dinner in Reading - also attend by Boris Johnson - where he planned to meet the Foreign Secretary to discuss Britain's exit from the EU - a key strategic success for Putin's government which has sought to undermine the European Union after sanctions were imposed for the annexation of Crimea. "The Foreign Secretary has never knowingly met this person, planned to meet this person, or ever heard of him before." The dinner at Reading, an hour or so from London, was for Conservative Party supporters. 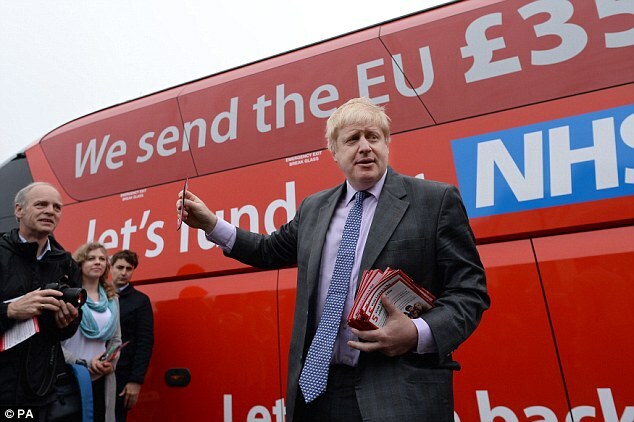 On Wednesday 1st November, following the news of Papadopolous' guilty plea, the Foreign Secretary dismissed allegations that the Russians played any role in British politics. On Thursday, a Foreign Office spokesman told Byline Investigations: "The Foreign Secretary has never knowingly met this person, planned to meet this person, or ever heard of him before." However, Professor Mifsud has not independently confirmed attended his attendance the function in Reading, and has not responded to Byline's requests to comment on the alleged meeting. Previously, Mifsud told the Daily Telegraph that claims he had high-level Russian connections were 'exaggerated' but the Washington Post reported that he had informed other colleagues he had a short meeting with Vladimir Putin. He has denied any wrong doing. Whatever the merits of Mifsud's claims, the UK has become a focal point of "a large, ongoing investigation" into alleged Russian election interference led by special prosecutor Robert Mueller. Though dismissed as a "coffee boy" by White House officials determined to play down the scandal, Papadopoulos was treated as a high-status expert in Washington and London diplomatic circles. He remained a senior ranking adviser for most of 2016, appearing at panels during the Republican Party convention, meeting with the Greek foreign minister and Israeli officials, along with interviews with Jerusalem Post and Russia's Interfax Agency. Papadopolous was particularly fêted in London after joining the Trump team. His comments about David Cameron's attitude to Trump were quoted by the Daily Telegraph in May. His demands that the former Conservative Prime Minister should apologise to the presidential hopeful Trump were featured on Breitbart Britain, in a piece authored by former UKIP leader Nigel Farage's speech-writer and adviser Raheem Kassam. In September last year, Papadopolous met with a mid-ranking official at the Foreign and Commonwealth Office and again stressed his Russian connections. Though Papadopolous was first arrested in January this year, and then again in July, Professor Mifsud maintained his role as an expert on international diplomatic relation, with posts both in London and the University of Stirling. Accord to his admissions court records unsealed on Monday, Papadopoulos said he met Mifsud, a “professor based in London,” on March 24 . He said Mifsud claimed to have substantial connections with Russian government officials. Seven days later Papadopoulos was pictured with Donald Trump and named as a national security advisor. Trump told the Washington Post editorial board that Papadopoulos was "an energy and oil consultant, excellent guy." Papadopoulos the group that he had Russian connections who could arrange a meeting between Trump and Putin. Professor Mifsud returned from meetings in Moscow during which “dirt” on Hillary Clinton and “thousands” of her emails were offered to him by figures in the Russian Government. Chicago born Papadopolous was based in London for several years before his surprise elevation to Trump's national security advisory committee. His Twitter account posted an image of him outside Harrods in Knightsbridge on October 5th with the hashtag #Business. The timing of the tweet suggested this was,during a period when he was a co-operating witnesses for the FBI. However, subsequent investigations by the open source intelligence website, Bellingcat, suggested the photo was dated from around 2015. Other elements of the FBI's extensive international probe have also focused on the role of London in the Trump Russia scandal. Richard Gates, indicted with his business partner Paul Manafort on Monday, was said in an FBI deposition to have active business interests and accounts in London. Though denied by the Foreign Secretary, Mifsud's claims about his contact with senior British politicians only deepens the focus on emerging connections between the EU Leave campaign in June last year and the presidential vote in November. Both results were narrow and unexpected. Cambridge Analytica, the US offshoot of the British company SCL, played a controversial role in both campaigns with its data harvesting and targeted marketing techniques. According to the Guardian, former UKIP leader Nigel Farage is a person of interest to the FBI in the Mueller investigation. Immediately after the surprise victory of the Leave campaign Donald Trump described the vote as an inspiration and described himself as 'Mr Brexit.' He also broke from his campaign schedule to visit the UK. 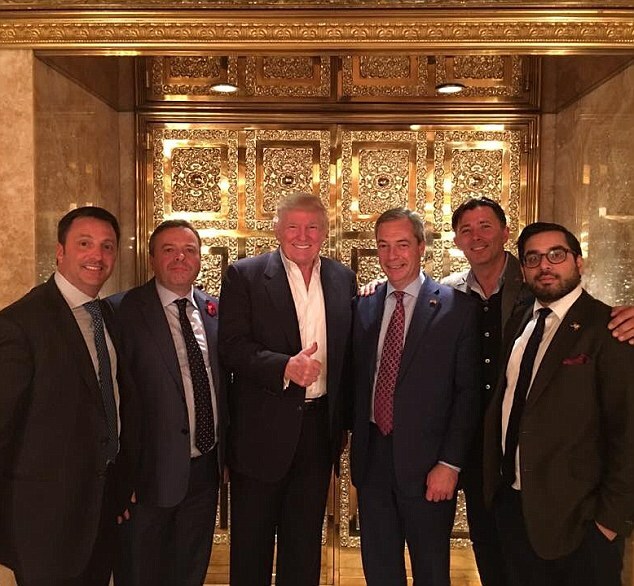 Former UKIP leader Nigel Farage spoke on Trump's campaign trail and was the first major British political figure to meet the President Elect last year. Both the funding and undeclared assistance in kind from the data company Cambridge Analytica to the Leave.EU campaign fronted by Mr Farage, and the funds contributed by his major backer and donor Arron Banks, are subject to several investigations by the Electoral Commission and the Information Commissioners office. On Thursday Robert Mercer, the hedge fund billionaire behind Cambridge Analytica and Breitbart handed over his interest in the publishing company to his daughters and distanced himself from the controversial British commentator and far right controversialist Milos Yiannopolous. Carole Cadwalladr continues her investigations into the Trump, Russia and Brexit in the Observer this Sunday.